The Colorado Avalanche Hockey Club announced today that the team has signed forward Jamie McGinn to a two-year contract through the 2015-16 season. 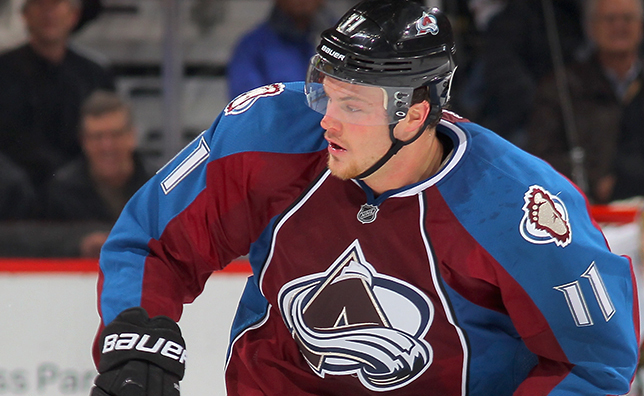 McGinn, 25, recorded 19 goals and 19 assists for 38 points in 79 games for the Avalanche this past season. The Fergus, Ontario native set career highs in points, assists, game-winning goals (3) and games played, while his 19 goals fell one short of his personal best (20 with Colorado/San Jose in 2011-12). He ranked fifth on the team in hits (140). McGinn went on to finish fourth on the Avalanche in playoff scoring with five points (2g/3a) in seven postseason contests. Selected by San Jose in the second round (36th overall) of the 2006 Entry Draft, McGinn was acquired by Colorado on Feb. 27, 2012. The left winger has recorded 122 points (65g/57a) in 347 career games in the NHL. In 143 games with the Avalanche, McGinn has totaled 38 goals—including seven game winners—and 35 assists for 73 points.